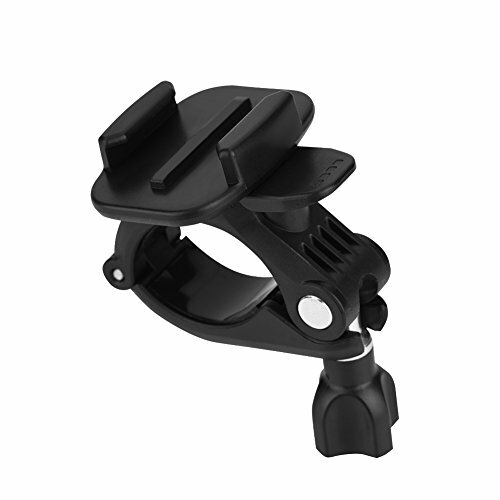 The hand socket mount is used when you use gopro camera,suitable for long tube fixed seat diameter between 25mm - 30mm.The mount can rotate by 360 degree, it makes application and installation more convenient.Strong fixity make you get better photos.What an amazing tool! Come on and go for it! 2.Suitable for most sports camera that can match this card button. 3.Holder can be rotated 360 degree. 5.Easy to use and durable ,as well wa easy to take off from the camera tube. Suitable for most sports camera that can match this card button. Holder can be rotated 360 degree. Easily lock the corresponding caliber(diameter between 25mm - 30mm). Easy to use and durable ,as well wa easy to take off from the camera tube.